“Outfest, Los Angeles’ LGBT film festival seemed like the perfect way to keep our endeavors into the US going,” said Ben Mason, Blued’s marketing director, “There are always great parties around Outfest and we’ll be distributing invitation card during Outfest’s Opening night to our Saturday after-party.” With a free drink voucher and information about the party that features an open bar from 8-9pm and a special free Blued drink for everyone with the app installed on their phones, it is sure to be one of the hottest parties around during Outfest. 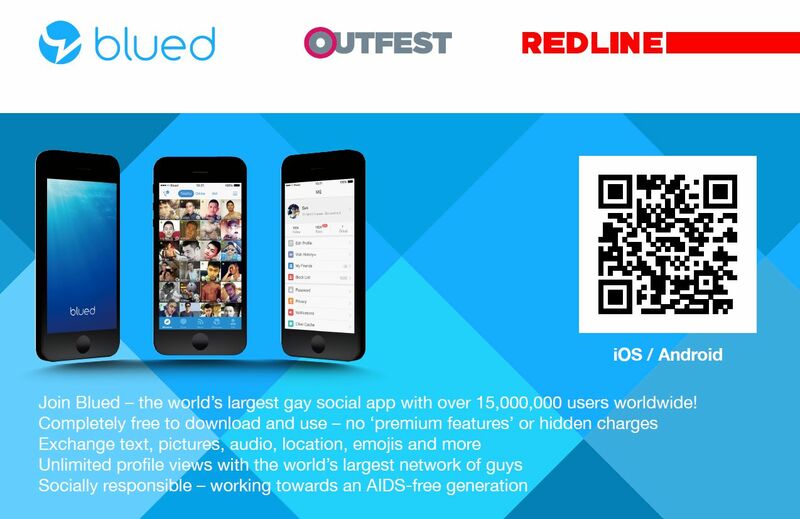 Blued was launched in China by Danlan in 2008 as a gay social app designed to provide a much-needed platform on which predominantly gay men could form social groups, connect with each other and share their lives in a safe environment. 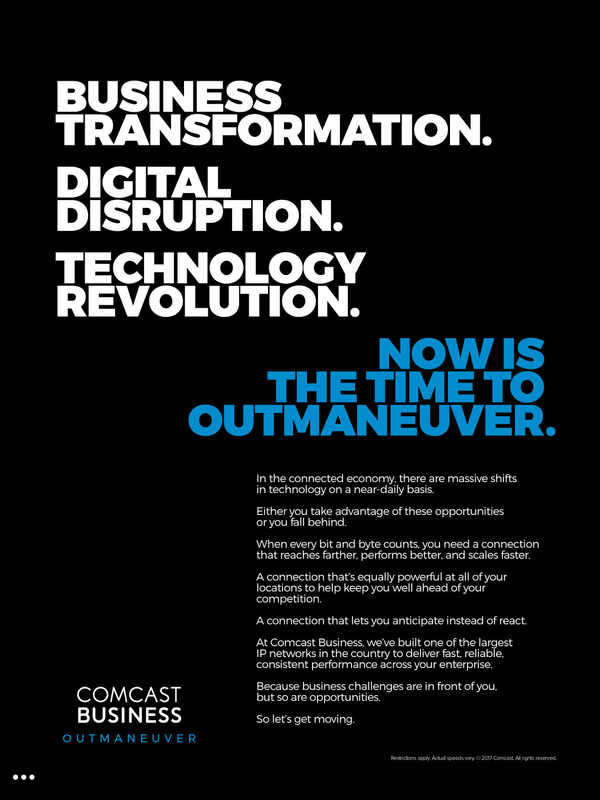 Since then, Danlan has seen its user base skyrocket to over 15 million users. Different from other social media apps, Blued’s value proposition lies in its social network functionality and community-oriented features, which distinguishes it from the sometimes-hyper focused yet usually fleeting interactions of other similar US centric apps. It’s also a truly FREE app, free of ‘premium features’ or hidden charges. And because it originated in China, a place where information about HIV/AIDS is still scarce, it’s also socially responsible, doing all it can to work towards to an AIDS-free generation. 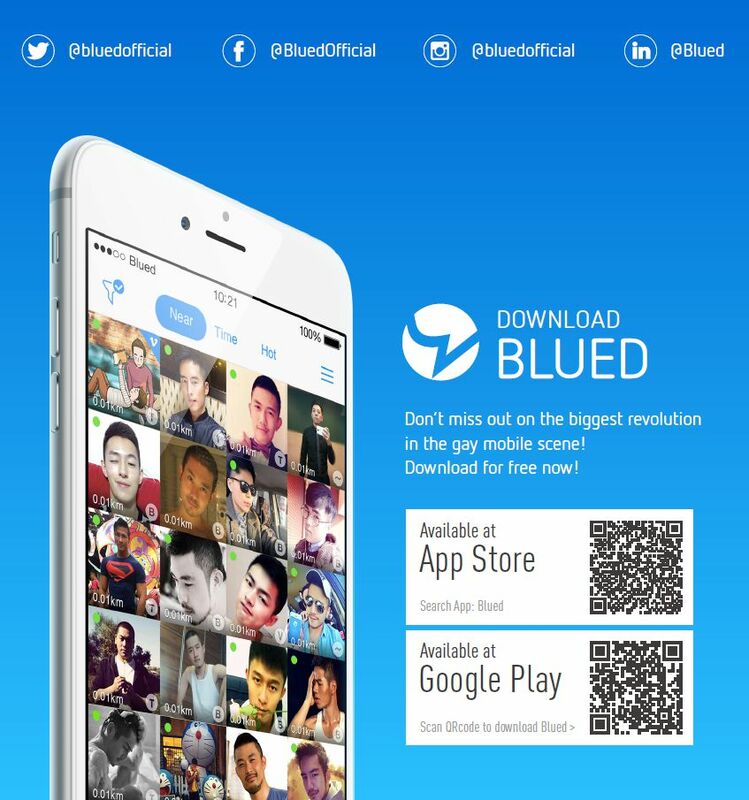 Blued’s unique blend of social media and LGBT lifestyles makes it a cross between a social media app and Facebook, a site still blocked in China to date. Now expanding into Western markets, Blued endeavors to utilize its technology to enrich, enhance and connect the LGBT community in more ways than currently available. In the meantime you can find out what 15 million users find so appealing by downloading Blued on IOS, Android or Windows phone today.